This assessment, my friends, was a bullseye. 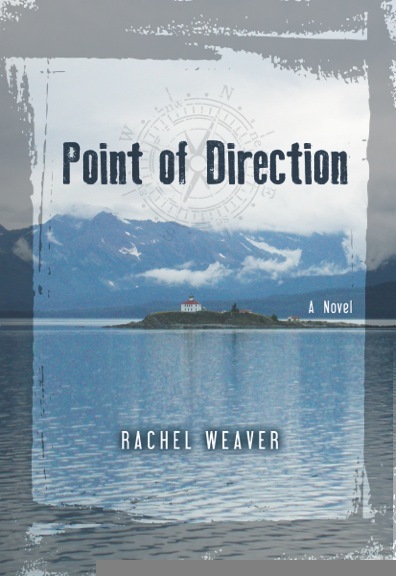 Point of Direction is at the top of my list for current book recommendations. I would confidently suggest it to anyone without discrimination—the old, the young, someone who lives in suburbia where wi-fi is readily available, someone who lives in a vine-gripped cabin miles from any paved road, and everyone in-between. Weaver’s protagonist, Anna, is someone I want to spend more time with. She is the kind of woman I’d love to expose my daughter to: smart, resourceful, fierce, strong, and yet patient, forgiving, at times resigned to the reality of her situation. As the story begins, she is in search of something—though neither she nor the reader knows what that something is until much later—when she gets picked up while hitch-hiking by a man named Kyle. Kyle has his fair share of inner turmoil to work through, as does Anna, and they develop a relationship of sorts over the course of many months. But because neither of them is capable of revealing their innermost shadows, they don’t feel quite at home together. When they get word of the opportunity to move to, and maintain, a lighthouse in the middle of nowhere for a lease of $1.00, they jump on it. Their willingness to take on such a task appears to be due to restlessness, a need for challenge and adventure. But as we spend some time with them on the lighthouse at Hibler Rock, we see that their respective reasons for making this choice are deeply personal. They set out to build a life for themselves on this remote island, subject to the brutal unpredictability and sheer force of the elements that surround them—wind, water, weather—that are the very same elements they need for survival. They create something from nothing, piece by piece. Anna is a superwoman in action—she cans, she bakes, she chops wood, she gardens, fishes, draws, climbs, can navigate a tiny skiff in the most treacherous of waters, she can even handle a chainsaw—and yet, she is vulnerable and unsettled in the realm of relationships and trust. She assembles everything with her bare hands, literally and figuratively. Survival in these aggressive, remote conditions is a full-time job. And in this day and age of technology and computers, spending some time with Anna and Kyle on Hibler Rock, hours by skiff from civilization, with only a radio and a satellite phone for communication, is a satisfying respite for the reader, as well. Time plods on at a different pace where they are. An average day plays out as a sequence of physical tasks, actions that often require a consuming level of mindfulness. They care for the lighthouse as if it were its own character, one that had long been forgotten until they arrived. They oil it, they spend long hours inhabiting it, they stretch its light out over the water. Anna transforms the living space from drab, cold, and off-putting to a clean, organized little cabin of sorts, warmed from the heat of a wood-fire and smelling of fresh-baked bread. They plant a garden. They get a four-legged bathtub for outside from a junk yard and hull it back to the island in the boat. Eventually, it becomes clear that the island is changing them. As more is revealed about what Anna is running from and what Kyle is running to—and there are many unexpected discoveries along the way—we see the island their chance to come to terms with their pasts, respectively. But the process is not, in any sense of the word, easy. It occurs to me that life moves in patterns, unless you break them. (p 227). I hesitate to reveal too much more, but I will tell you that once I got about halfway through the book, I could think of little else. I allowed my daughter to watch more television than usual, I neglected all housework and made no evening plans but to curl up on the couch beneath a fleece blanket and keep reading. While fully absorbed in the pages, I felt irritated when the phone rang or it was time to move on to something else. This is all a sure sign of a good read. I am lucky to live down the street from Rachel Weaver. I know her as a friend and mother-of-two, first and foremost. I knew she was a great talent, but I had no idea what a masterful accomplishment her first book would be. It is only a matter of time before Weaver’s name is a familiar one to readers of all kinds. Heather: First, Rachel, can you tell us a little about your background? Rachel: Sure. I worked for the Forest Service studying songbirds, raptors and bears doing all sorts of things in the name of science like flying around in inclement weather in very small helicopters, hiking around in bear country with a backpack full of bacon and molasses and sitting in tree stands over salmon streams to record the behavior of bears who, it turns out, are very adept at climbing trees. I also have an MFA from Naropa in creative writing. H: Wow. What was the thing that surprised you most about the process of writing your first book? R: How long it took! I thought I was done so many times before I actually was. It was a good lesson in patience and not giving up. H: Do you remember the moment when you felt compelled to write this particular story? R: Yes, I was living in Alaska doing biology work for the Forest Service. I was on the ferry traveling north out of Juneau when we passed by a serene octagonal lighthouse on a tiny island in the middle of a narrow, windy fjord. There were white capped mountains on either side and we were several hours from any town. The Forest Service puts naturalists on the ferries in the summer to point out interesting things to the tourists like sea lion rookeries and whales and things. At the point when we were passing the lighthouse, the naturalist got on the intercom and said, “Anybody want to live out there? You can lease if for $1 for 100 years from the Coast Guard.” It turns out his figures were a bit wrong, but the idea of it stuck with me, especially later that year when I passed by it again in the winter and the wind was like a fist coming down the fjord and the waves were all stacked up and the skies low. I couldn’t stop thinking about what would drive someone out there to live. H: Did the characters evolve over time? R: Yes, for sure. This book has gone through so many iterations. Both the characters grew out of many years of working with them and putting them in many new situations out at the lighthouse. H: The story is full of so many details that feel as if they are based on fact. Did you have personal experience living on a lighthouse or did the book require a ton of research? R: I’ve never lived in a lighthouse, although I did live in a cabin off the grid with a rain catchment tank and a generator for intermittent electricity, like my characters do. And I had a small skiff with a crappy motor, like them as well. But aside from that, I mostly just paid attention to others in Alaska who were living even more remotely and asked questions when I wasn’t sure about some aspect of that life style. H: Was Hibler Rock based on a real place? R: Yes, Hibler Rock is based on Eldred Rock Lighthouse north of Juneau in Lynn Canal, which is the lighthouse seen from the ferry. The picture on the cover of the book is of Eldred Rock Lighthouse. H: The protagonist, Anna, is a strong, self-sufficient woman. Is she based on anyone or any character in particular? R: She is based on the many women I met in Alaska who were just as resilient and capable as their male counterparts. H: Alaska is such an intense landscape. It almost shows up as a character in and of itself. The book would have been totally different if the lighthouse was located elsewhere. What do you feel the severity of the landscape and the natural elements offered Anna and Kyle assistance in their respective inner journeys? For those of you in Colorado, Rachel is offering a reading at the Tattered Cover in Denver on June 2nd, at 7:30 pm. 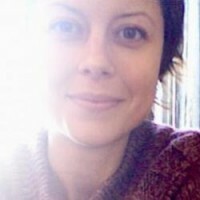 Photo: used with permission from the author.